As a vegetarian have you ever wondered what haggis tastes like, then look no further than Stahly vegetarian haggis. Stahlys vegetarian haggis is a meat free version is perfect for any vegetarian who would like to try the taste of haggis, perhaps as a treat on Burns night with neeps and tatties on the side. 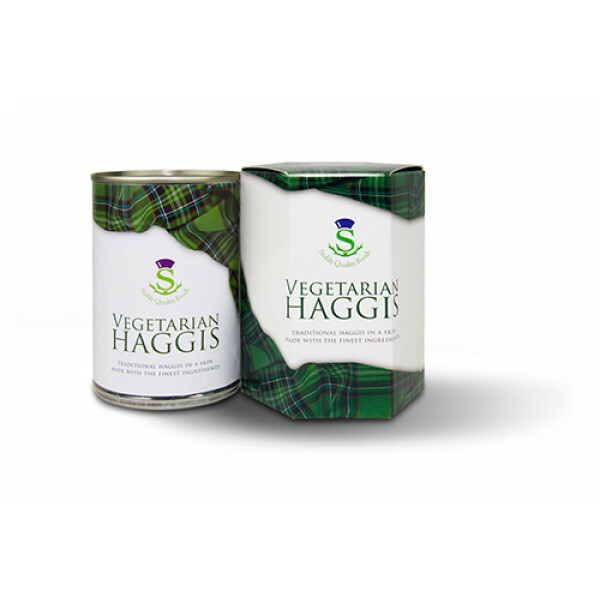 Stahlys vegetarian haggis contains a blend of oatmeal, mixed vegetables and spices making it delicious substitute for the real thing. Haggis doesn't have to only be enjoyed on Burn's night, it can be eaten all year round as a delicious and quick evening meal. We are able to export this haggis into most countries in the world. 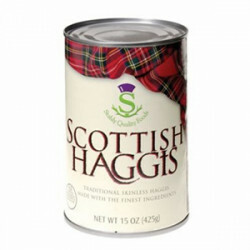 410g tin which serves 2-3.The Scotch haggis is the traditional Stahly haggis made from the original ..